If you are planning an adventure holiday, replete with rafting and canopy tours and exploring highland reserve parks and virgin tropical beaches, head for Costa Rica. Take in the jagged volcanoes and mountains, Get all set for swimming, fishing and surfing and sample some of the Costa Rican cuisine. Check out our travel planner to Costa Rica. Find out about the weather, transportation and other details before traveling to Costa Rica. Situated in Central America, Costa Rica is the second smallest of the five republics in the region. 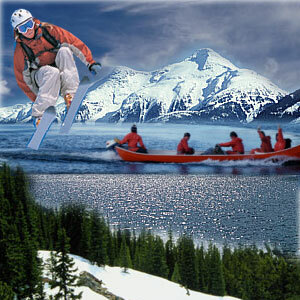 The country is characterized by high rugged mountains in the center and south and lowlands on both coasts. The capital city of San Jose lies in the highlands. At the narrowest point in Costa Rica, there is only 119 km separating the Caribbean coast from the Pacific coast. The region is known for cataclysmic volcanic eruptions and distinct climatic patterns. Though English is widely spoken, the official language is Spanish. With a population of about 4 million, Costa Rica has a predominantly white or racially mixed population. The northern province of Guanacaste has a sizeable indigenous population. The Atlantic coast of Costa Rica experiences rain for most parts of the year. March and April are the hottest months. May to October sees rainy weather. Temperatures in Costa Rica vary on account of the altitudes. The average temperature in the areas below 800 meters is 25 to 32°C. In higher altitudes, temperatures can range between 14 and 25°C. Sample some of the local cuisine - gallo pinto, tortillas topped with black beans and rice. Costa Rican specialties are seafood preparations. You can try out the national liquor - clear cane liquor called Guaro. Nearly 18% of the country constitutes National Reserves or Parks. The Barra Honda National Park in Costa Rica offers unexplored caverns, hiking trails and all the makings for an ecological holiday. Walk through the reserve parks - Look for miniature orchids or the scarlet macaws. Watch different species of turtles at Parque Nacional Tortuguero, Playa Grand, Ostional and Santa Rosa. Explore botanical gardens, aviaries and snake exhibits. You can opt for a canopy tour that allows you to observe flora and fauna at leisure - riding on a cable car or walking on treetop bridges. The vast coastline offers excellent opportunities for diving, surfing and snorkeling. 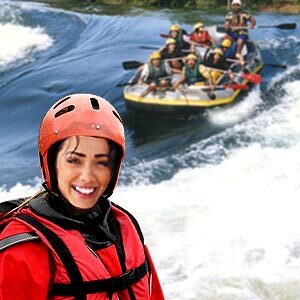 Take a kayak ride and enjoy a white water raft tour. Sitting astride the mountainous chain of the Andean - Sierra Madre chain, Costa Rican landscape is dotted with cones and domes of volcanoes in the northern region. The Arenal Volcano with its voluminous plumes of smoke and ash offer a spectacular view as the volcano spews red lava into the air. At its base you can see the fascinating mess of magma caves. The volcanoes of Poás, Irazú and Rincón de la Vieja are protected in national parks, some of which also boast of hot springs. The volcanic landscape of Rincon de la Vieja is ideal for hiking and riding. 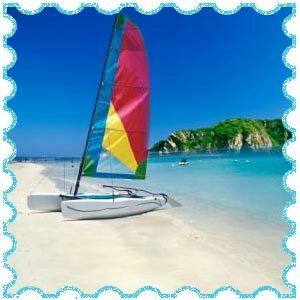 Travel planner to Costa Rica from the U.S. involves travel and accommodation and sightseeing. San José's Juan Santamaría international airport is about 21/2 hours from Miami or about 3 hours from Houston. There are daily flights from Los Angeles via Guatemala City and from Washington D.C. via Mexico City. You can make use of taxis to travel within the capital city and its outlying suburbs. Ensure that the cabbie puts up the meter (maria) when you get in. For longer distances, negotiate a fare before setting off. Buses are aplenty and cheap. The multi-destination trips can take you out of San José too. The bus terminals in the capital are Coca-Cola terminal, Atlántico Norte terminal and the Caribe. The earthquake of 1991 severely damaged the railway network within the country. For those planning a luxurious and relaxed holiday, take a cruise ship with halts at the Costa Rican ports of Caldera and Puerto Limón as well as Mexico. Some of the popular lines are Clipper Cruise Line, Costa Cruises, Royal Caribbean and the Royal Viking Line. Plan your travel to Costa Rica in the December to April season. The rains may make the roads impassable during the wet season. 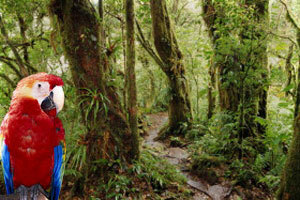 When planning travel to Costa Rica, take along light sports clothing and beachwear. Comfortable walking shoes, jackets, insect repellant and sun block are essential items in your travel planner. Don't forget sunglasses and wide brim hats. Costa Rica is famous for handcrafted wood and leather items. Check them out at Mercado Central. Take in the sights of the capital city San José. View some of the relics of colonial furniture, costumes and religious art at the Museo Nacional and Museo del Oro Precolombino. The Teatro Nacional is host to operas, symphonic orchestral concerts and ballets. The Museo de Oro Precolombino boasts of a dazzling collection of American jade sculptures. Costa Rica has an overwhelming European influence and occupies pride of place in Central America as a haven for eco-tourism - from lush jungles with exotic species to live volcanoes and virgin beaches. head for Costa Rica... lose yourself in the wonders of nature!